How Do I Find My Unique Site ID? 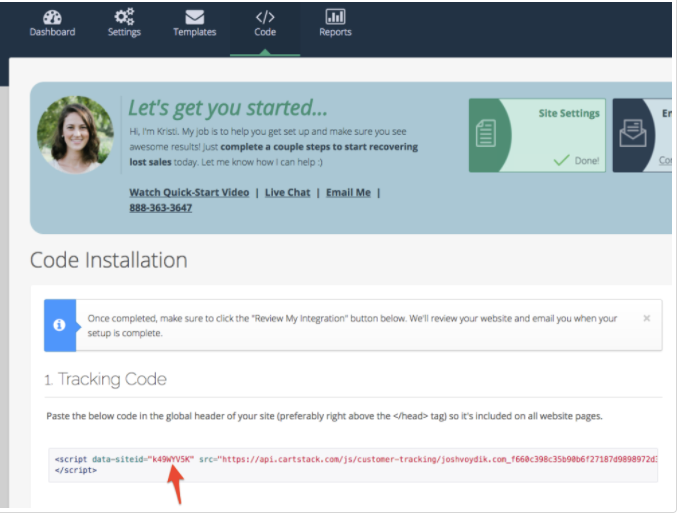 Description: It's important that the CartStack code on your site includes your unique site ID so that your website can pass information to CartStack. Visit the Code page of your CartStack account. Your unique site ID is the string of letters and numbers highlighted in red.